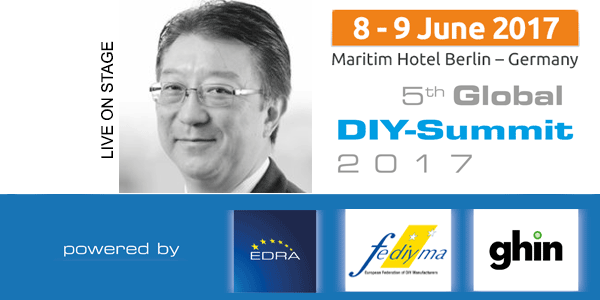 Yasunori Ishiguro is Executive Vice President and COO in charge of merchandising and marketing at DCM Holdings and he also serves as an executive director of the Japan DIY Industry Association. DCM Holdings was established in 2006 by three major home improvement companies in Japan. Since then, two more DIY companies have joined the group and currently operates 655 stores across the country. DCM is now the largest home improvement group in Japan. Yasunori Ishiguro takes overall responsibility of the product strategy and product development of the group. He also plays a leading role in the integration of the group management and operation.